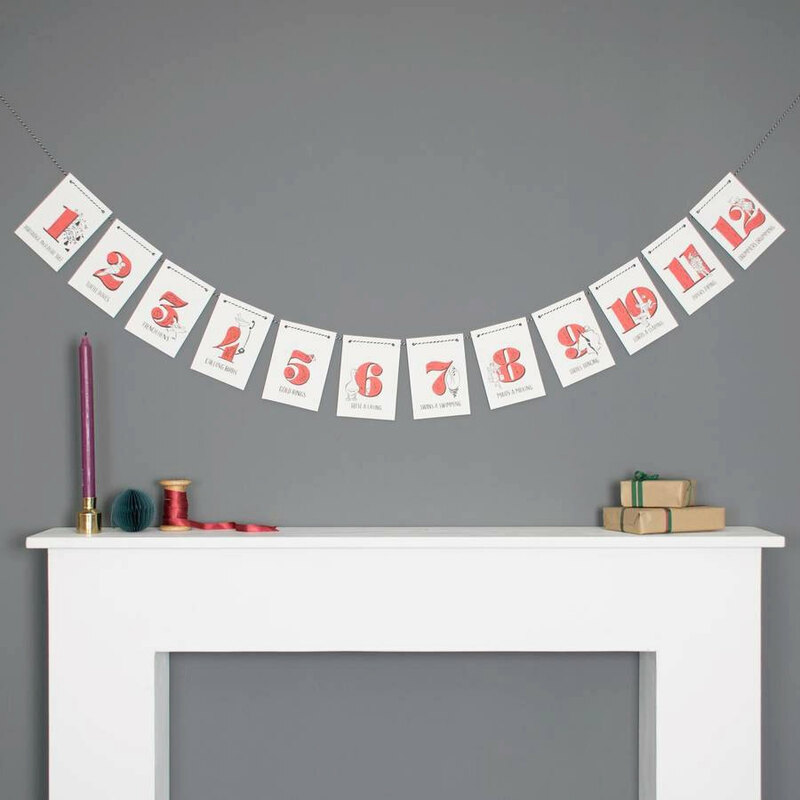 Get inspired by your favourite Christmas carol with our ‘12 days of Christmas’ bunting for a perfect decoration to make your house extra festive. 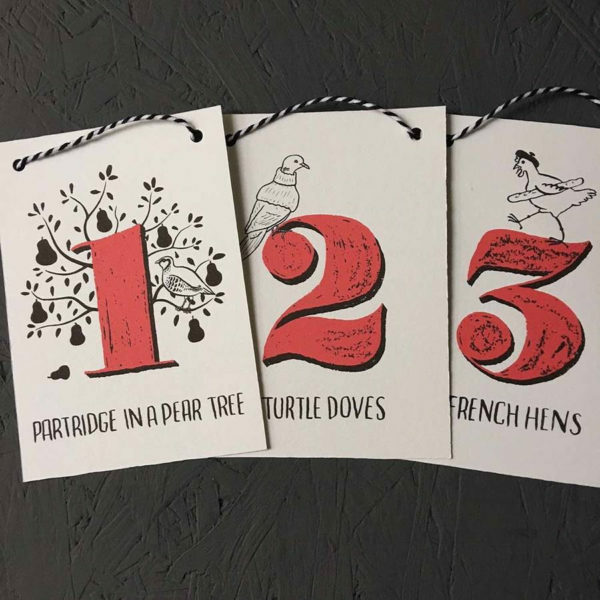 Each of the twelve flags includes a lyric plus a red, illustrated number; from a cute partridgeperching on a pear tree for the first day to a maid pouring milk all over number twelve! 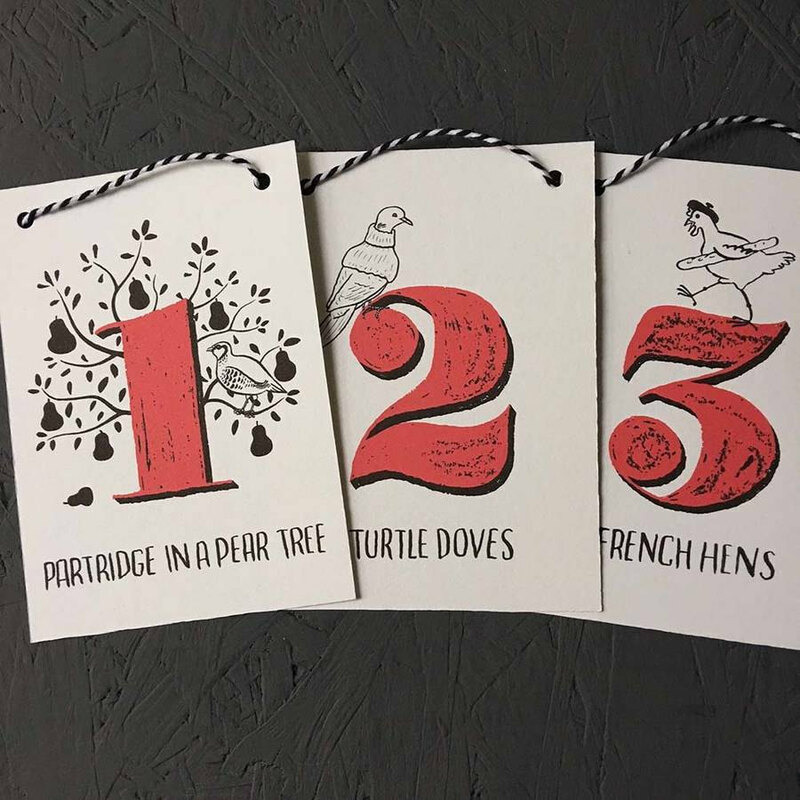 Thequirky illustrations bring a new twist to one of our best-loved Christmas carols and create amodern decoration to compliment any home.The bunting has been hand-illustrated by Peter Gander in our studio in Kent before beingdigitally printed onto luxury card. 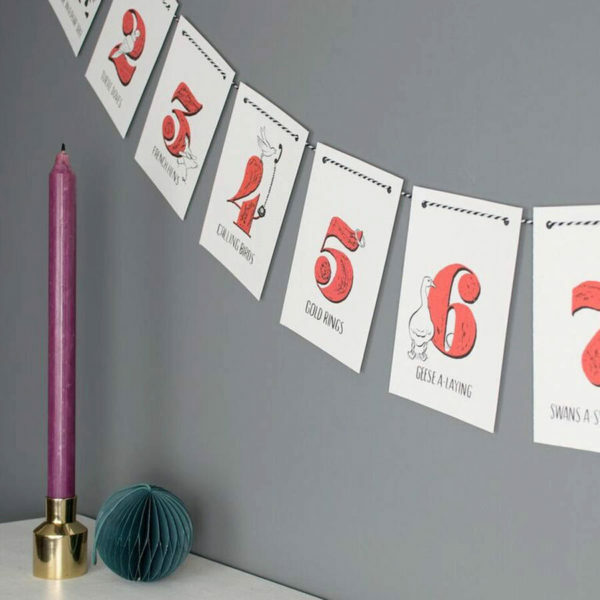 The bold typography and luxe materials are super-stylish andwill add a bit of festive flair to your house this Christmas!The bunting comes ready-strung so all you need to do is hang it up; it looks great hung over amantel, strung against a wall or across a window.The bunting isn’t waterproof so please use only as an indoor decoration. Choose from standard size or large.See our full range of Christmas bunting. Each flag is A6 size (105 x 148mm) for the standard size.